It was here that Annie Pavelka, the prototype for Ántonia, baptized her baby and later married. The building, erected in 1883 and used until 1903, later became a residential home. Visitors will notice the "poor man's stained glass" windows and the lack of a bell in the belfry. These are important reminders of the economic divisions in Red Cloud. The priest didn't live in Red Cloud, instead traveling by train to give Mass. The train engineer would blow the whistle in a special way if the priest was aboard to let the parishioners know that Mass was about to begin. The building was dedicated and consecrated in 1970. 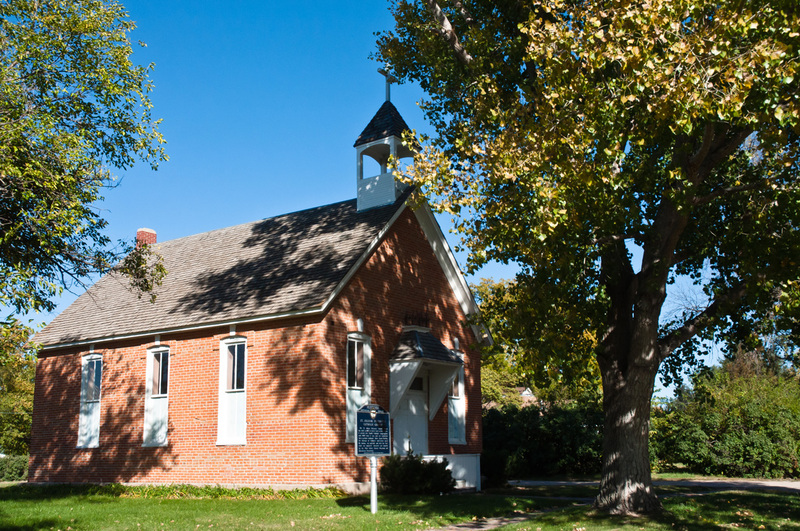 St.Juliana was restored and is managed by the Willa Cather Foundation and maintained by the Nebraska State Historical Society.